The 3WallBall World Championships are the final event in the Handball/Racquetball 3WallBall Cup Series. The winners of the PRO & the Amateur divisions will be honored. 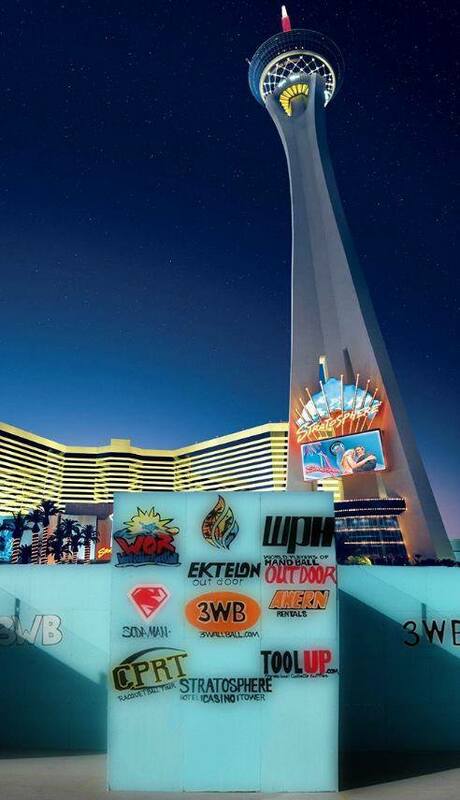 WPH/WOR 3WallBall.com Outdoor World Championships return to Vegas, September 24th- 27th, 2015 and you are invited. 1 Wall International Challenge with big prize money added! If this is your first time playing in the 3WallBall World Championship Tournament OR if you have played in all five previous 3WallBall World Championship Tournaments, you are eligible to play a complimentary second division. To qualify, eligible first-timers & five-timers must submit paid entry before August 31, 2015. Third division (and more) will be charged at their respective rates. Cost of complimentary second division will be reimbursed at check-in. WHAT DOES VEGAS HANDBALL LOOK LIKE?